Hands down, one of my favorite cards I've made to date. Love the colors... love the stamps... LOVE this card! Better hurry up and get this super cute, free Sweet Summer stamp set before Sale-a-Bration ends next week on Thursday.... you definitely don't want to miss out on it!! Oh so Cute. That is such a lovely stamp set. 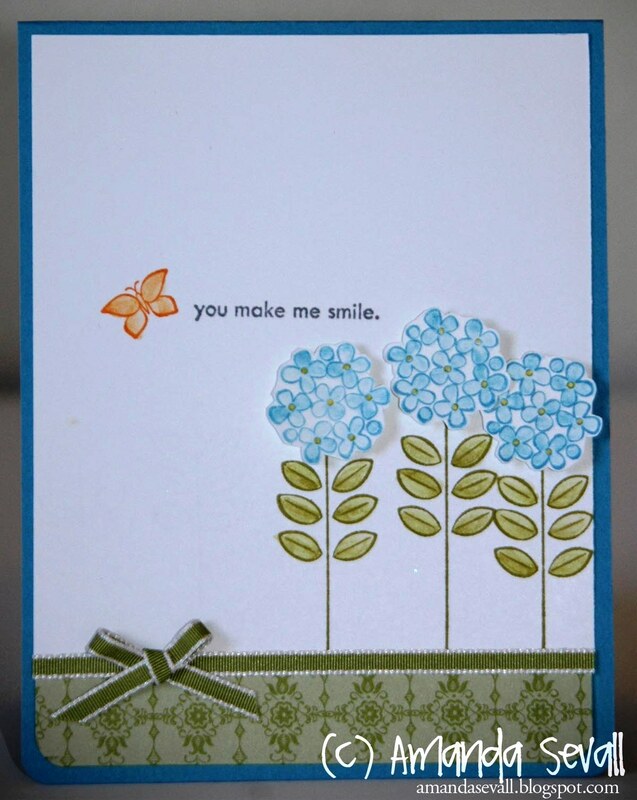 I like how you arranged the flowers and added just a little bit of DSP to bring you right to the focal point of your card. LOVELY! 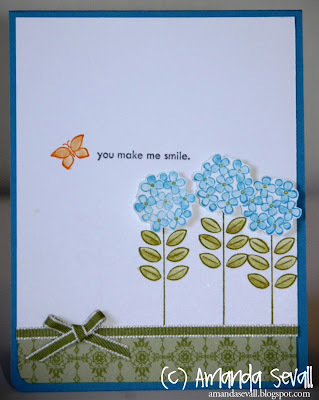 Thank you so much for joining us at Hand Stamped Sentiments. Please join us again. I love how you stamped the flowers. They really pop from the card. Simple but stunning card. Thanks so much for playing at Hand Stamped Sentiments.